DNA Test in Ambala Haryana can also be done now effortlessly. 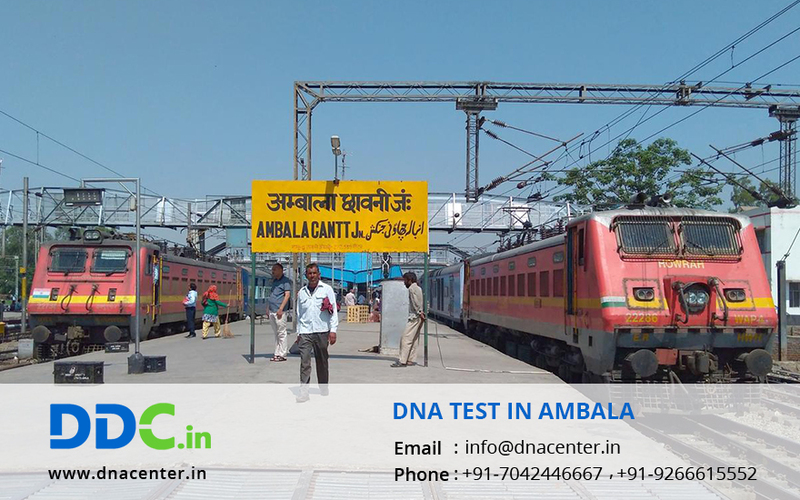 DDC Laboratories India has opened up various collection centers for DNA testing in India. DNA testing is the most accurate method when it comes to human identification. DNA testing is done for peace of mind. DNA testing is done in cases of war, natural calamities and other situations where the body has been ruined beyond recognition. We conduct DNA test to solve crime cases, adoption, infidelity and ancestry cases. DNA can also be tested in case of immigration where the VISA is given once you prove relations. Our highly trained professionals at DDC Laboratories India are customer oriented and very helpful. We make sure that our customers get the best experience of DNA testing services. The lab technicians at DDC go through extensive training to make sure the fast and accurate results. We offer DNA tests at economical charges and as per government standards. DDC laboratories India is related to DNA Diagnostics Center Inc. USA, the world leader in providing AABB accredited DNA testing services. We assure effective and careful handling of DNA samples and deliver the 100% test results. For any kind of DNA test in Ambala Haryana please fill the given form and our executive will contact you. You can also give us a call for any queries and to make an appointment at: +91 7533008488.